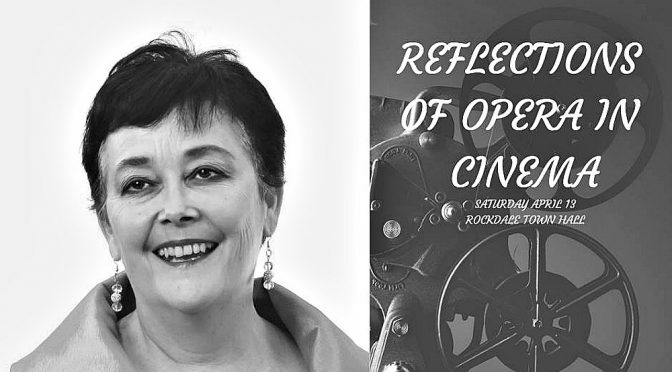 Rockdale Opera Company presents: REFLECTIONS OF OPERA IN CINEMA, A CABARET. 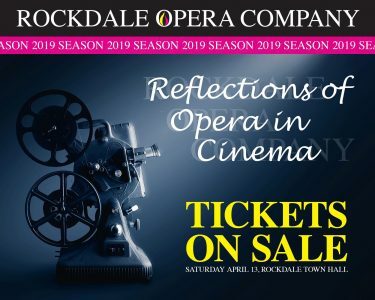 This will be a cabaret celebration of musical highlights of Opera in Cinema Featuring Megan Chalmers, Nik Roglich, Julie Paik and many more, accompanied by the Rockdale Opera Company ensemble. Saturday 13th April 2019 at 2pm and 7.30pm at Rockdale Town HalL, 448 Princess Highway, Rockdale.